Who would have thought January would herald a shortage of iceberg lettuce, courgettes, broccoli and peppers in supermarkets due to atrocious weather in Spain having devastating effects on the quality of their fresh produce? Spain provides about 80 per cent of the supply of these crops to the EU and it shows how vulnerable food chains can be to an extreme weather event. This is also perhaps an indication, despite all the talk round oversupply and huge global wheat stocks, how one severe weather event at the wrong time can change the face of product supply and pricing almost overnight. It is easy to sit back in an ivory tower if you are disconnected from practical agriculture and say ‘it will always come from somewhere’. Well if there is a big shortage of something, this might not be the case. Which leads me to the ludicrous situation we are facing with the looming vote on the re-registration of glyphosate. How on earth did it come to this? 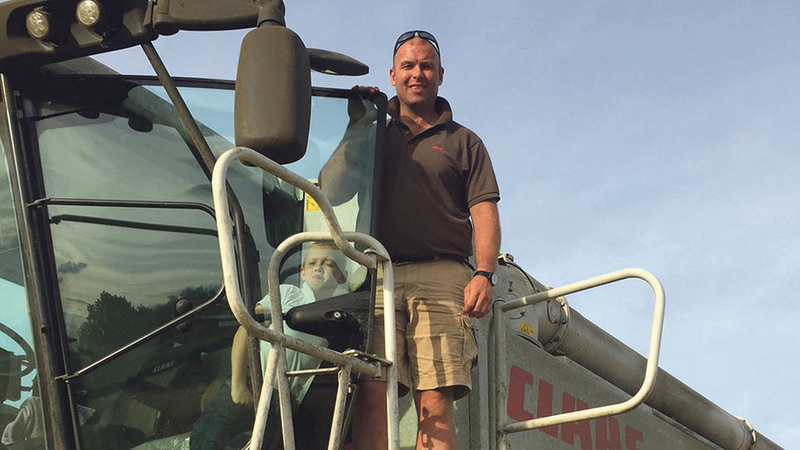 As many arable farmers will tell you, it is essential to our farming system, especially in a no-tillage system. I am often told ‘this type of establishment system is reliant on glyphosate’, which is fair comment, but so are most arable systems, especially those combating black-grass, even with a traditional cultivation system. Cropping would not be viable in some areas and, as we lose more products through re-registration processes, we are clinging to a cliff edge with the few products, apart from glyphosate, which work on black-grass. As an industry, it is time to fight our corner on how glyphosate is vital to our farming systems. On a lighter note, I recently found it highly amusing when my son came back from school and told me what they had been learning in history that day. It was on the Tudor period and growing crops. While his teacher was explaining the land was ploughed and it was the same in modern practice, Sam raised his hand and corrected the teacher, saying: “Miss, my Dad doesn’t do that. We plant cover crops and direct drill.” Wonderful. But herein lies the lesson. We need to be better at informing people what we do well as an industry, from the bottom up. But we must also have those vital tools in order to succeed.